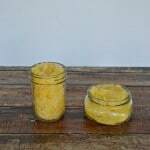 In the summer I made a Lemon Sugar Scrub to help smooth out the rough skin on my hands and feet I get from gardening in the summer time. It may also be because I can’t stand to wear shoes or socks in the summer either so I’m often outside without my shoes on. 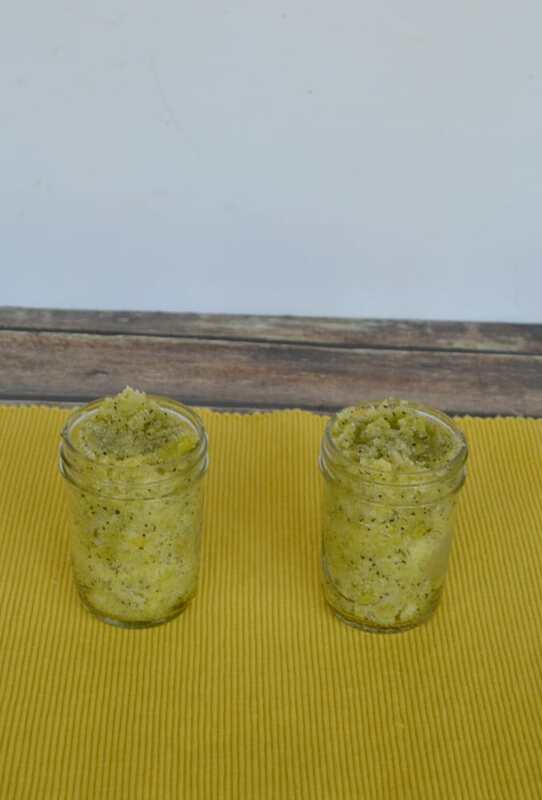 I just ran out of my Lemon Sugar Scrub and was going to make some more when I came across a recipe for Green Tea and Lemon Sugar Scrub. 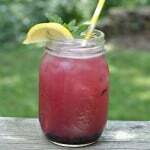 I really liked the idea of combining tea with the lemon because it’s one of my favorite pairings. When I looked through my closet I didn’t have any green tea. Most of my tea is black tea so I shuffled through the flavors until I found one that I thought would work great with the lemon and the black tea scrub. I ended up using a black mint tea. I mixed the black tea along with sugar, baby oil, mint extract, and lemon essential oil to acheive a wonderful smelling scrub. 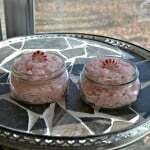 I loved the addition of the tea flecks in the sugar scrub. I added a few dots of food coloring to give it a bright yellow green color. 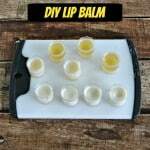 It smells awesome and it works great plus it would make a great homemade holiday gift! 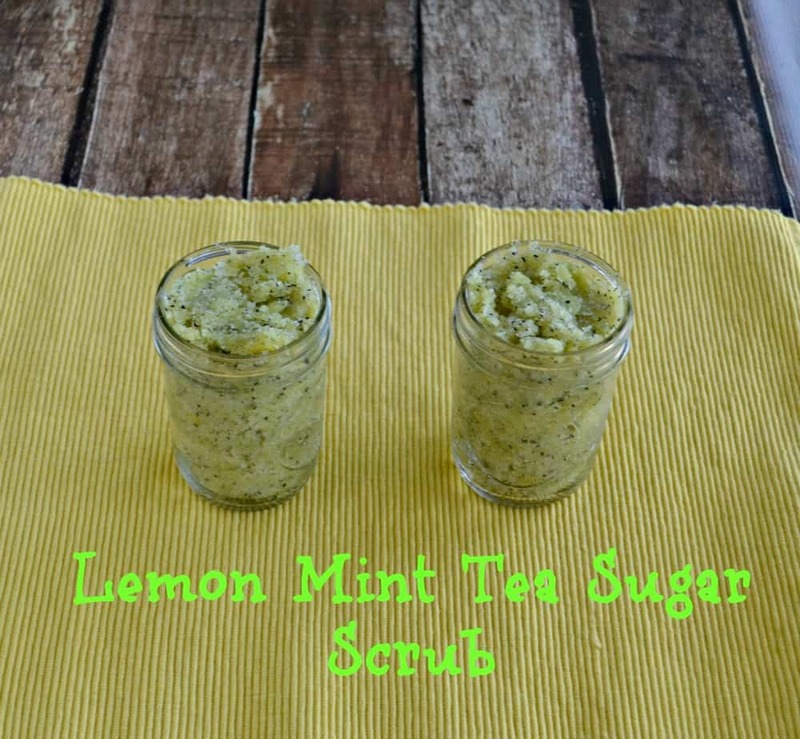 A fresh Sugar Scrub made with black tea, mint, and lemon. 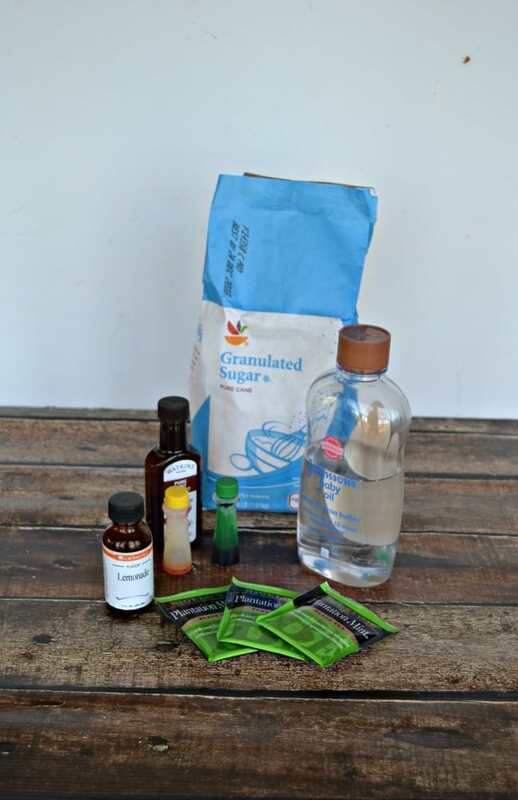 In a jar bowl combine the sugar and baby oil, mixing until the sugar is moist. Rip open the tea bags and pour the contents into the bowl with the sugar. Add the mint extract and lemon oil and mix well. Stir in the food coloring, mixing until combined. Divide the mixture in half and place half in each jar, filling completely. Put on the lids and tie on a ribbon if desired. This would f make a nice gift, or stocking stuffer.